My friend, who I’ll refer to as “Jane” to protect her privacy, explains that she and her husband are sharing responsibilities for Grandma’s caregiving with his three siblings, as well as one hired caregiver who comes to the home most weekdays. Jane’s husband and his siblings each have the same evenings each week that they stay overnight caring for their mother, and they each commit to one full weekend per month as well. Though the family recognizes that one day they may have to put Grandma into a senior living community with memory care services, the family feels that a move could exacerbate her dementia symptoms and that it is beneficial to keep her in familiar surroundings for as long as possible. And she also acknowledges that the situation is simplified by the fact that her own children are now young adults who no longer live at home. “I’ve heard many stories of tough situations, friends of mine who have had to care for their parents in the midst of raising teenagers or building their own careers,” she says. In this email, I noticed again and again Jane’s use of the word “fortunate.” She notes that while her family’s situation of caring for an aging parent has its challenges, they are actually fortunate as compared to many adult children who are thrust into the role of caring for an elderly parent. They have the assistance of numerous family members, and they have the financial means to afford a paid caregiver to help, for example. Too often, however, I think we as humans discount the gravity of a situation by telling ourselves, “it could be worse.” Yes, there is likely always going to be someone who has a tougher row to hoe, a steeper hill to climb, but when it comes to caring for an aging parent or loved one, don’t discount the emotional, physical, and financial toll the situation can take on you and your family. But there is another angle to the update my friend shared in her email that I wanted to discuss. It’s the story of her own parents. She says that her mother and father have gone to great lengths to plan for their senior life. They have purchased long-term care policies, as well as life insurance policies, some of which are setup specifically to care for the surviving spouse when the first passes. Her parents also have added their names to a waitlist for a continuing care retirement community (CCRC or “life plan” community), and they have taken the financial planning steps needed in order to make a CCRC financially feasible. Jane doesn’t share this contrasting story of her own parents’ situation as a criticism of her mother-in-law and the role she and her husband now find themselves in as Grandma’s caregiver. But it does underscore the real-world ramifications of different people’s approaches to planning (or not planning) for their future care needs. I’ve written before about pre-crisis versus post-crisis planning, and Jane’s situation with her parents as compared to her husband’s exemplifies this concept. Some people are naturally planners who want to be prepared for the “what ifs” that life can present. Maybe they experienced the challenges of caring for their own aging parents and don’t want to be a burden to their adult children, so they want to ensure they have a plan in place for their future care. Other people are blessed with the financial means to have numerous options when it comes to their plans for long-term care, whether they intend to stay in their own home or move to a senior living community, such as a CCRC. But on the other hand, there are many people who, for a variety of reasons, do not or aren’t able to make a plan for their potential future care needs. There are those who simply do not have the financial means to make such contingency plans; this is a common issue in our country where many people have little to no savings. Other people may be in some level of denial about the realities that can occur as part of the aging process, and they aren’t ready to face that fact and their own mortality. Or there are certainly people who just believe that things will always work themselves out one way or another. Those without a plan—financial and/or logistical—in place to deal with their future care needs too often force their families to go into crisis mode to deal with any unexpected health- or age-related circumstances that arise. It can be an incredibly difficult situation to navigate for those loved ones, as they try to figure out the day-to-day schedule of how they will care for their family member and how they will pay for it, often while juggling their career, struggling with their own expenses, and caring for young or teenage children. This is one of the top motivating factors that people state as their reason for choosing to move to a CCRC. Because CCRCs provide their residents with a continuum of care services—ranging from independent living to assisted living, skilled nursing care, and memory care—opting to move to a CCRC while you are still in good health is a proactive way to both ensure you will receive the care you need while also preventing your loved ones from having to handle the many stresses that come with caring for an elderly family member. It is heartwarming to see someone sacrifice for their loved one the way Jane and her family have, taking on the role of caregiver to an aging family member with such compassion and grace. 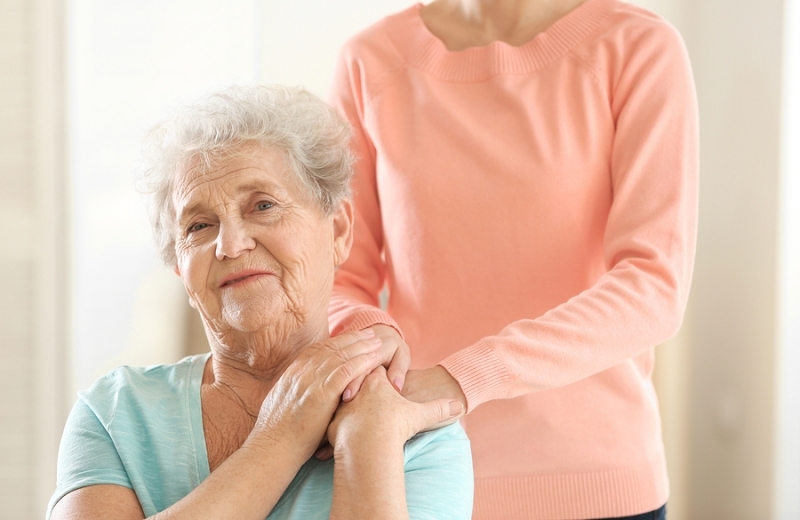 Whether this role is someone’s choice or is thrust upon them by circumstance, caregiving requires such patience, sacrifice, and commitment, and it can be a truly moving expression of love. But I also have great admiration for people who make the conscious decision to move to a CCRC in order to spare their family the difficult and sometimes-heartbreaking task of caring for them as they age. This type of advance planning not only promises the CCRC resident will always have the care they need, it also protects their loved ones by ensuring life’s “what ifs” don’t become a life-altering situation for the entire family. To begin exploring CCRCs in your area, visit our free online community search tool.